Lake Access! 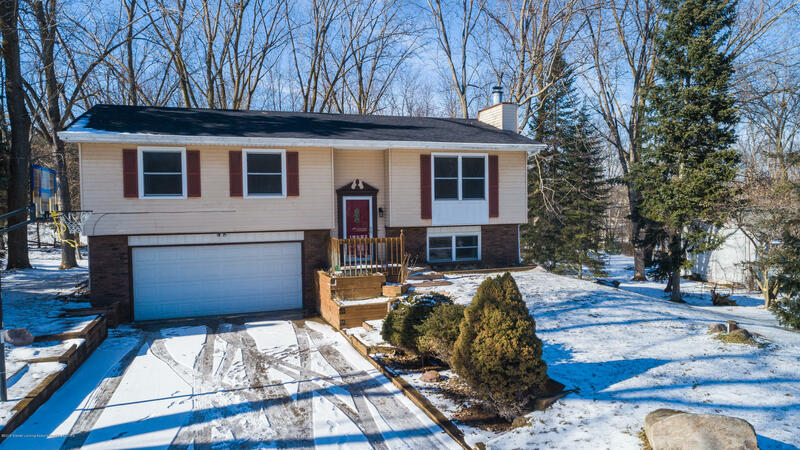 Great location in Dewitt Schools. Entire home has been renovated with over $35,000 worth of updates! Move in ready! Open floor plan. New kitchen with soft close drawers, stainless steel appliances, all new lighting fixtures. Dining room with slider to porch overlooking the Looking Glass River. New bathroom enlarged with tiled shower, double vanity sinks, vinyl flooring. New Laminate floors in living room, dining, kitchen, bedrooms and lower level. New white trim and baseboards throughout. Lower level features recreation room, wood fireplace, laundry room, half bath and walkout to patio with built-in benches. Enjoy the park-like backyard and bonfire pit on almost 1/2 acre of property. New Roof 2018.